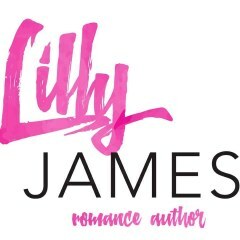 This morning, we are featuring a contemporary romance in our book spotlight. 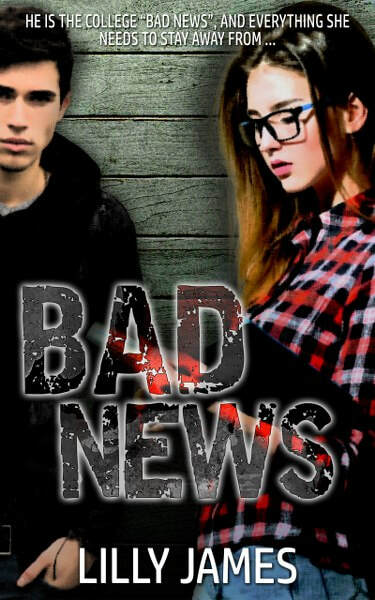 Check out Bad News, learn about the author & enter for a chance to win a $5 Amazon gift card in the book tour giveaway at the end of this post! There is no wrong or right way to deal with a death. Or to grieve in a way that is expected. The loss of a loved one can hit you in ways you could never imagine. At least, it did to Hunter Holland. College Junior Hunter knows he messes up; he knows he hates his life; he also knows he blames his father for his mother’s death. What he doesn’t know is that his life is about to change–all thanks to Louisa Dawson. Louisa, the freshman, is sweet. Shy. Innocent. She doesn’t care for boys, but rather books. Hunter is crazy, a player, and as cocky as they come. The college ‘bad news’ is everything she wants to stay away from, yet he is everything she is drawn to. Focused on her studies, Louisa doesn’t have time for Hunter who is both distracting and disruptive, but Louisa is the breath of fresh air Hunter needs. She is the only girl he is willing to work for. She is also the only girl that understands why Hunter is living the life he is. Louisa is determined to prove to Hunter that living in a tormented past is never going to guarantee a happy future. They say opposites attract… maybe they do. When she's not writing you'll find her singing terribly to music, curled up with her kindle, or doing something boring like everyday chores that unfortunately need attention.